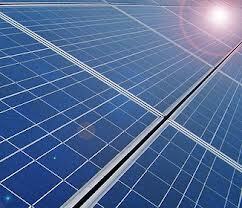 Renesola was established in 2005 and is a leading global photovoltaic manufacturer. The company has its own R&D team and advanced production equipment. Renesola is a vertically integrated company with complete R&D and manufacturing of polysilicon, silicon wafer and solar modules. Renesola has a global presence with sales branches established in Europe, the Americas and the Asia-Pacific regions. Renesola Ltd. is a leading manufacturer of silicon wafers & solar modules. This Chinese solar company is one of the lowest cost producer of solar wafer in the world. It is expanding into other parts of the supply chain. Like LDK Solar, Renesola sells most of its Solar Panels under an OEM Contract. The US Government recently imposed anti-dumping duties against the Chinese solar panel companies. The polysilicon companies can sell additional quantities at $10/kg which is less than 50% of the cost. This gives the Chinese trade authorities concrete evidence to decide whether to impose anti dumping duties on polysilicon imports. Not only 5-6 polysilicon companies in China continue to operate due to the price crash. Companies like Renesola, LDK , GCL, Daqo New Energy could benefit massively if the Government imposes duties. These companies will see their selling prices go up by 30-50% and also their volumes go up by a large amount which will allow them to utilize their full capacity. Renesola Solar Modules are divided into Monocrystalline and Virtus Series. The whole solar panel industry has been in a tailspin as the massive solar glut takes toll of the whole industry. The industry downturn which started in 2011 has not stopped as solar panel prices have crashed to new all time lows with European demand pull in ending and inventories building up. However the Market has started asserting its power with the badly managed, over indebted solar companies showing greater distress and bigger losses. While the better managed ones are increasing marketshare and showing resilience, the worst companies like LDK and Suntech are close to failure. The YTD stock performance has started to reflect the realities with some of the good companies like Renesola showing a massive out-performance compared to the worst ones like LDK (75% return of SOL long compared to LDK short). If you have queries regarding ReneSola Australia for solar modules & micro-inverters ; please do get in touch with me directly. I am Santosh from Natural Energy, India. Starting a Business in Installation of Solar System. I wanted the Panels and battery price cheaper in India and also wanted some more information regarding the system. Could you please suggest the solar panels required to install on top of a factory building(under construction proposal) in india,kerala about 2000 square meter area.Please advise the maximum possible electricity produce with that area and inverter requirements.